The opening ceremony for the International Centre for Theory of Quantum Technologies (ICTQT) was held in Gdańsk on 16 November 2018. ICTQT is a project supported by the Foundation for Polish Science (FNP) under the foundation’s International Research Agendas (IRAP) programme, co-financed under measure 4.3 of the Smart Growth Operational Programme. ICTQT, which was awarded PLN 35 million in support under the IRA programme, is located at the University of Gdańsk. In addition to the founders of ICTQT, professors Marek Żukowski and Paweł Horodecki, the ceremony was also attended by authorities of the University of Gdańsk, the City of Gdańsk, and the strategic foreign partner for the project, the Institute for Quantum Optics and Quantum Information of the Austrian Academy of Sciences, as well as delegates from FNP and quantum physicists from Poland and abroad. The agenda included an address by Prof. Harald Weinfurter from the Max Planck Institute of Quantum Optics and the Ludwig Maximilian University of Munich, and Prof. Mohamed Bourennane from Stockholm University. Other guests included Prof. Gerd Leuchs, director of the Max Planck Institute for the Science of Light in Erlangen, Germany, Prof. Mark Hillery (Hunter College, City University of New York), Prof. Klaus Mølmer (Aarhus University), and Prof. Robert König (Technical University of Munich). The guests presented the latest scientific findings in the area of quantum physics and quantum information. Ultimately, there will be six research teams working at the new centre at the University of Gdańsk, employing 30 people. Alongside professors Żukowski and Horodecki, the positions of the remaining team leaders and researchers will be taken by scientists selected through open international competitions. The activity of ICTQT will focus primarily on research on fundamental issues of quantum physics, quantum communication and information, and quantum technologies. In terms of practical applications, the researchers will focus on cybersecurity and new computational technologies. Prof. Żukowski from the University of Gdańsk, director of the project, is an expert in quantum mechanics and quantum interferometry, and author of over 150 scientific works published in leading global journals like Nature and Physical Review Letters. Żukowski is a beneficiary of numerous FNP programmes, obtaining funding in the MISTRZ/MASTER and TEAM programmes, and now IRA, and is also a laureate of the COPERNICUS Polish-German Scientific Award and the Foundation for Polish Science Prize (2013). Prof. Paweł Horodecki, winner of an FNP START stipend, is the leader of one of the research teams at ICTQT and author of over 150 articles on quantum information theory and the foundations of quantum mechanics, cited a total of over 14,000 times. Horodecki is a cofounder of the National Quantum Information Centre and currently serves on the centre’s research council. He is one of the creators of the Horodeckis criterion (1996), which enables determination of whether a given quantum state is entangled (the article setting forth this finding is the most-cited original scientific work in the history of the University of Gdańsk). He is also one of the discovers of “bound entanglement” (Physical Review Letters, 1998) and many other fundamental laws of quantum information. This will be the second project at the University of Gdańsk funded under the International Research Agendas programme. 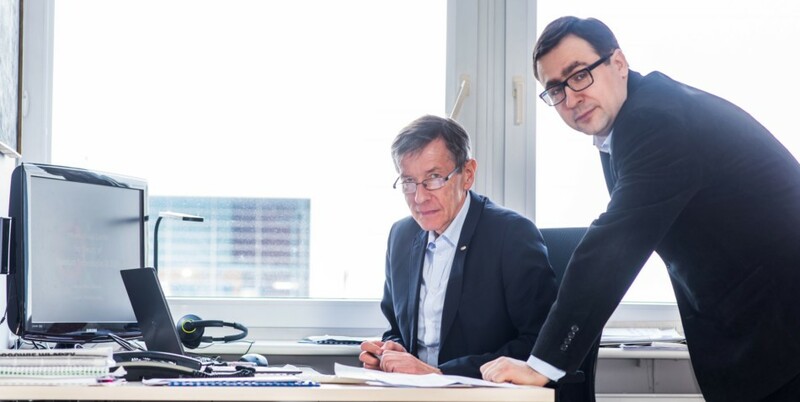 Last year a pair of world-class researchers, professors Ted Hupp and Robin Fåhraeus, received PLN 41 million to establish the International Centre for Cancer Vaccine Science at the university. To date nine projects have received support in the IRA programme, with total funding of over PLN 338 million.